Finally, a warm(er) weekend at Orphans of the Storm®! The dogs were all excited to be able to spend some time in the outside part of their kennels, and many of them were happily dosing in the sunlight. It was a great day to get to know some great pooches! Biscuit the five-year-old Jack Russell Terrier (AKA Parson Russell Terrier) mix may only have one eye, but don’t tell her that! This little cutie still had her stitches in when I took her out for a walk, but you wouldn’t even know anything had happened to her from the way she was happily romping around. 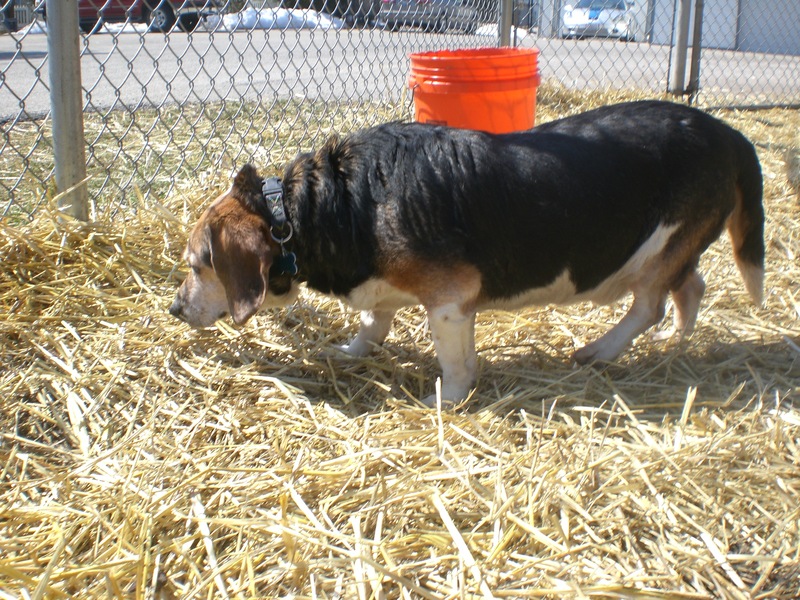 Dogs are so much more resilient than people–even small dogs like Biscuit. Biscuit wasn’t interested in any pity; she just wanted to enjoy our walk and get some nice pats on her back. Biscuit has one of the funniest barks I’ve ever heard. She barely even sounds like a dog. Biscuit also has one of the cutest little tails. Since it’s so short, her whole behind wiggles when she’s happy. Biscuit is one of those dogs that just makes you smile as soon as you see her, and makes you smile even more once you get to know her. One eye? Who cares! Biscuit is more than enough dog to make a family very happy. Biscuit doesn’t mind that she only has one eye, so neither should you! 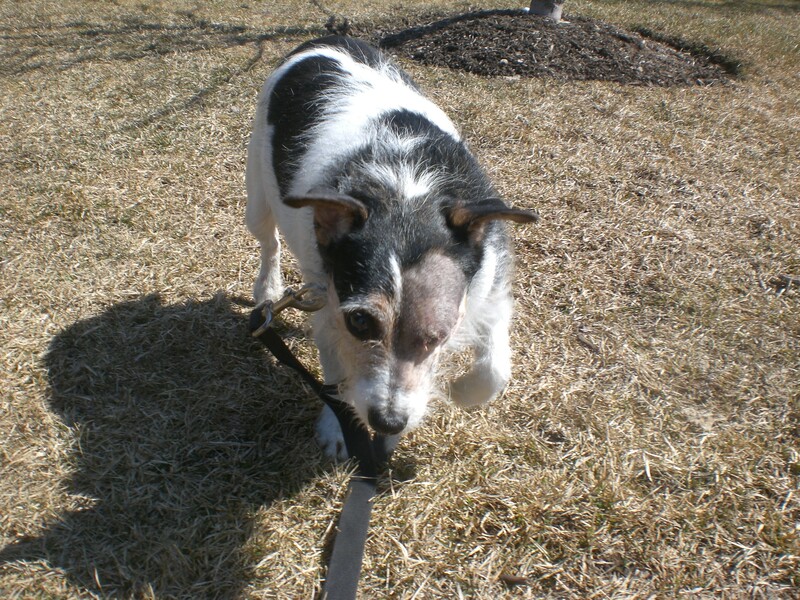 Back in January, I took out nine-year-old Beagle mix Freckles. 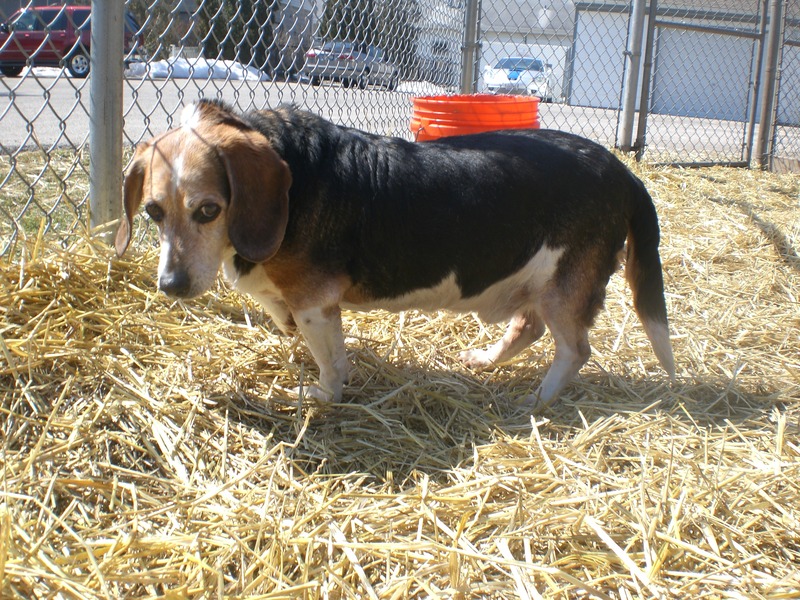 Freckles and her brother, nine-year-old Buckeye, are looking for a forever home where they can spend their golden years together. Buckeye didn’t want to come outside with me in January because it was too cold, but this past weekend was so nice that he was more than happy to come out for a walk with his sister and me. 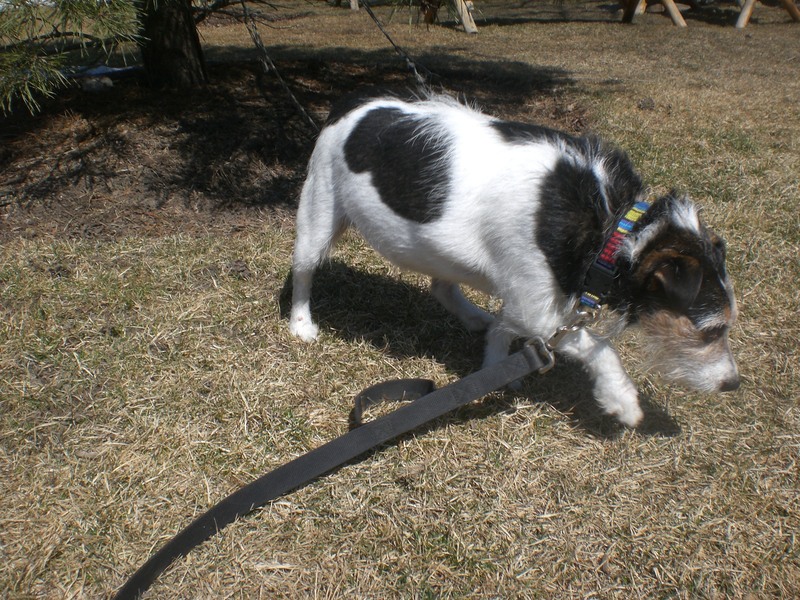 I learned very quickly that Freckles is the more active, playful, rambunctious of the two. Buckeye is more laid-back and moves at his own pace (which makes walking the pair of them an interesting task). When we got to the off-leash run, Freckles was bounding around like a puppy and kept jumping into my lap to give me lots and lots of doggy kisses. Buckeye, on the other hand, moseyed along, sniffing here and there and just enjoyed being out in the sunshine. I could not stop squealing over Buckeye because he is too precious for coherent words. Although Buckeye moves more slowly than his sister, he is just so cute when he decides to run. Those little legs! *Insert squee* Buckeye has a sweet face and a sweet personality to go along with it, even though he’s usually overshadowed by his sister. This pair isn’t asking for much–just a nice home where they can continue to enjoy each other’s company and be part of a loving family. Whether you’re looking for a little dog or a big dog, Orphans of the Storm® has the right pooch for you! 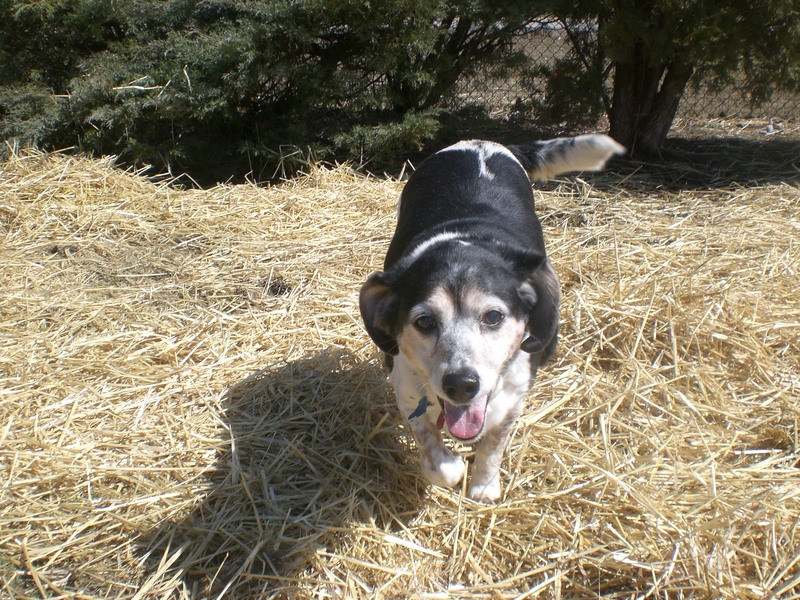 Posted by Meet the Pooches on April 4, 2013 in Dog Profiles and tagged adoption, animal shepter, animals, Beagle, Chicago, dogs, Jack Russell Terrier, Orphans of the Storm, pets.